I am a performer, writer and producer in New Orleans and am actively involved with nonprofits that support and advocate for artists and culture in Louisiana. We at Louisiana Citizens for the Arts have been following state bill HB216, which caps the amount spent on the State’s Percent for Art Program. While this issue, raised by Treasurer Kennedy, may have been motivated by political interest and upcoming Senate campaigns rather than fiscal responsibility, it is worth illustrating a few details. The cultural industries in Louisiana are the state’s second largest employment sector and produce diversified revenue during a time when other economic areas such as oil & gas are struggling. Culture in Louisiana is the engine that drives tourism, which in turn produces extraordinary revenue to the state without tax hikes or burdening our citizens and communities. It should be also noted that Louisiana ranks 40th in per capita arts funding, and is 11th out of 15 of the traditional Southern states. Louisiana currently funds culture at .48 per capita, where the Southern average is .72. This is a regrettable and unnecessary decline, as Louisiana ranked in the teens as late as 2002. While we believe Louisiana’s culture is its greatest asset, and that our artists can compete with anyone, the lack of even average government support does put our artists at a competitive disadvantage. We would like to strongly affirm our belief in the value of public art for Louisiana. At its heart, public art engages people, tells the story of our culture, and assures that access to great works of art is not purely the provenance of the more affluent. We are proud that since its inception in 1999, the state’s Percent For Art Program has created new commissioned works in Hammond, Lake Charles, Baton Rouge, Farmerville, and New Orleans. All that said, we are open to a change in the program that caps expenditures on a certain project, and we do hope that Treasurer Kennedy’s new interest in arts funding ultimately results in his supporting raising Louisiana’s culture funding to the Southern average. The per capita average for Arts Funding of the 11 Southern states is .72 per capita. Louisiana is rightly considered the cultural capital of the South, but without below average funding, creatives have economic incentive to seek out more business friendly locations out of state. Louisiana Citizens for the Arts supports raising state arts funding to the Southern average of $3,348,000. Louisiana’s culture is celebrated across the nation, and our artists often tour nationally to support themselves. Artists, especially musicians, are especially adversely affected by Louisiana’s non-compliance with the Federal REAL ID act of 2005. 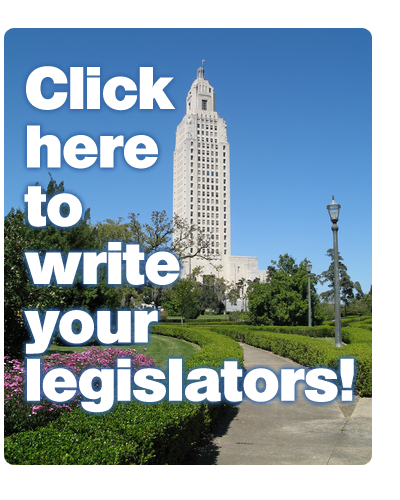 Requiring our artists to take on the added expense of applying for a passport in order to tour puts an unnecessary financial burden on them, and we urge the next Governor and the Louisiana legislature to put the State in Federal Compliance. Louisiana’s culture is the state’s most recognizable asset. The office of Culture, Recreation, and Tourism has worked to include cultural creatives in state marketing efforts, and offered business incentives including the Cultural Districts Program, Musical and Theatrical Production Tax Incentive, and Sound Recording Investor Tax Credit. As the State re-examines all tax credit programs, we urge that the Production and Recording credits remain, but with priority given to ways the credits can benefit Louisiana’s homegrown talent and cultural infrastructure. Louisiana’s colleges and universities have sustained consistent and major funding cuts over the last seven years. In order to play to their strengths and do more with less, Universities such as the University of New Orleans are looking to refocus and rebrand themselves. UNO, which boasts strong though underfunded departments in film, music, theatre, visual arts, and arts administration, has proposed rebranding and centralizing these Departments in a School of the Arts to enhance regional and national student recruitment. We urge proper funding for UNO’s proposed School of the Arts and proper funding for all university art departments across Louisiana. On April 16th, the LCA participated in a forum with candidates to be our State’s next Lt Governor solely focused on culture. You can now stream the video of this forum and hear what the candidates have to say. Make sure your voice is heard in this critical election, join the LCA today! Culture Connection is where Archaeology, Arts, CODOFIL, Historic Preservation, Main Streets and Cultural Districts stakeholders will connect to the Department of Culture, Recreation & Tourism to move cultural development in Louisiana forward. LCA’s parent organization, LPA, will be bringing in guest speaker Kevin Spencer. Kevin is a teaching artist, performer and speaker, with an emphasis on arts integration in healthcare and special education for individuals of all ages and abilities. His presentation “Art Across the Lifespan” has a very powerful message and should not be missed. This year’s Culture Connection will include the 2015 Louisiana Culture Awards program, educational sessions and networking cocktails, featuring individuals, companies, organizations and agencies with products and services relevant to cultural development. Louisiana’s cultural industries are fueling significant growth in the state. Want proof? Explore Louisiana’s Cultural Vitality Index (CVI), a new set of statistics indicating the impact of our work on the state’s economy. Every community needs a creative placemaking toolkit. Come to this panel to learn about all the resources available at the local, state, and national levels to build a distinctive sense of place and spur economic development in your community. The only thing that is certain is that there will be another disaster. Are you prepared? This panel of experts will discuss strategies for homeowners, businesses, nonprofits and municipalities to protect your cultural resources. Culture Connection is sponsored by the Office of the Lt. Governor and the Office of Cultural Development, in partnership with the Louisiana Trust for Historic Preservation, the Louisiana State Arts Council, the Louisiana Archaeological Survey and Antiquities Commission, the Louisiana Folklife Commission and the Council for the Development of French in Louisiana. Registration is $40 per person. Networking tables are $40 each. Space is limited, so click below to register now! Get the information delivered to your inbox! CLICK HERE to join our Email list. Greetings Partners, Presenters and Citizens! The Louisiana Citizens for the Arts, would like to invite you to attend our February Convening being held at the Baton Rouge Capitol Welcome Center on Wednesday, February 4th from 8:45 am – 2:00 pm. with the Baton Rouge Area Foundation. *A delicious complimentary lunch by Jason’s Deli will be served to all attendees who RSVP. Directions the Louisiana Citizen’s for the Arts and Louisiana Partnership for the Arts will be taking in the upcoming year. This is informative and comprehensive for both novices and experts alike! Parking is available at the Welcome Center Parking Garage on the corner of North St. and River Rd. and in the River Road levee parking lot. If you use the parking garage, make sure and bring your ticket to the Welcome Center for free validation. *Please RSVP now so we can plan accordingly for the complimentary lunch! RSVP to louisianapartnership4arts@gmail.com by 5 pm, January 30th. Join us for our November 6th Convening! Discussion of the exciting new directions and developments the Louisiana Citizen’s for the Arts and Louisiana Partnership for the Arts will be taking in the coming year. Discussion of current issues in Louisiana arts. Eric Holowacz will introduce advocacy partners Composite Effects, Red Six Media, and Sarah Rhodes, and discuss media campaign content, planning, and message. Parking is available at the Welcome Center Parking Garage on the corner of North St. and River Rd. and in the River Road levee parking lot. If you park at the garage, please bring your ticket to the Welcome Center for free validation. Please RSVP now so we know how many people to expect during our delicious complimentary lunch catered by Jason’s Deli! The LCA and its Board Members have been busy bees lately. Thanks to Eric Holowicz, our new Chairman, LCA will be implementing some exciting changes in the coming year. Coming soon, members can look forward to a monthly e-newsletter with trends, issues, hot topics, opportunities and much more . We also have a plan of action for some creative community engagement and grass roots advocacy that will get your region active and involved. Stay tuned for details on our next convening in November, it should not be missed! Speak up! Click the button at left to see a list of arts-related issues pending at the state and national levels. Then click the ones that interest you to send a note to your elected officials! Louisiana Citizens for Culture Blog at WordPress.com.